Well from my last thread I heard there was a lot of controversy on vertical door kits. I bought this kit maybe a month ago, and I recently installed one of the doors, for aligning and trimming. I took my grand ol time on it because I wanted it perfect, next week I'll have the driver door aligned and "perfect" Ill post pictures here of the kit and all it includes and what I needed to do to make it work. I found it hardest to attach the hinge to the car first, I recommend the door first, It's much easier to thread the bolts in than reaching inside the door with 2 fingers while your friend holds the door! But basically you just bolt it right on. I skipped the factory hinge removal process on here, but if anyone wants to see it, ill definitely add to it. Door harness is long enough to reach with the door open, on the passenger side at least. No excessive tugging on any connectors, so I might get a new grommet and keep it like this. Harness with the door fully swung out. I will post pictures on here for my last step, and thats to trim the inside lip of the fender. Many people were saying they arent truly bolt on with no modification. Well all that it needs is a fender trimming on my car, so i'm not sure what "true bolt on" entails. I have the same hinge set, purchased from V8 Archie several years ago... as I understand he worked with VDI to get the design of the hinges to fit the Fiero properly. I have been very happy with the fit and quality of these hinges and they have held up very well for several years. Not a big deal.... 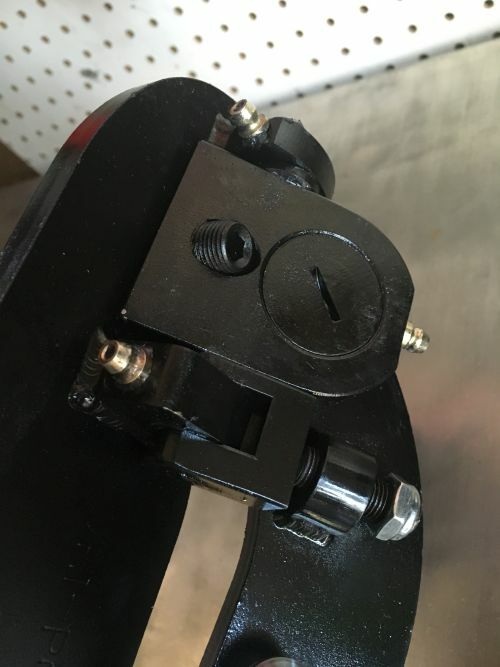 I would turn the lower nut/bolt around on the lower frame mount, just looks better..
That would make sense. I heard VDI redesigned the hinges just a few years back. 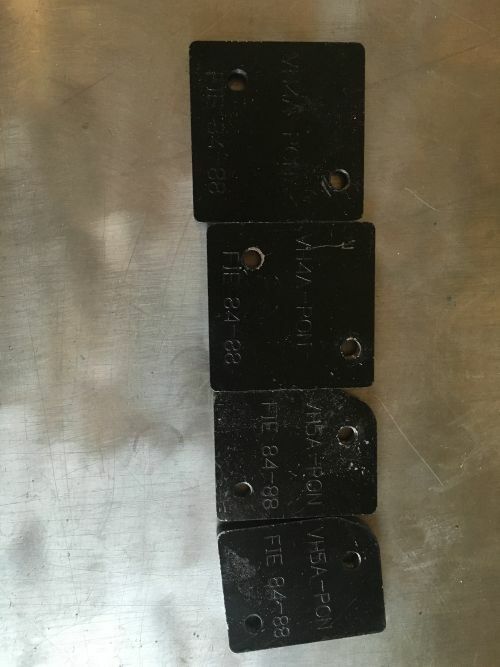 Someone purchased the hinges in 2014 and the hinges did not have the lower offset to account for the difference in the frame. I don't think the VDI instructions mention this but the front fenders will need to be trimmed a bit to allow the hinge to swing outward. This is why I posted that comment in your original thread. People have commented that there is no true bolt-on kit on the market so I'm glad you made this thread. 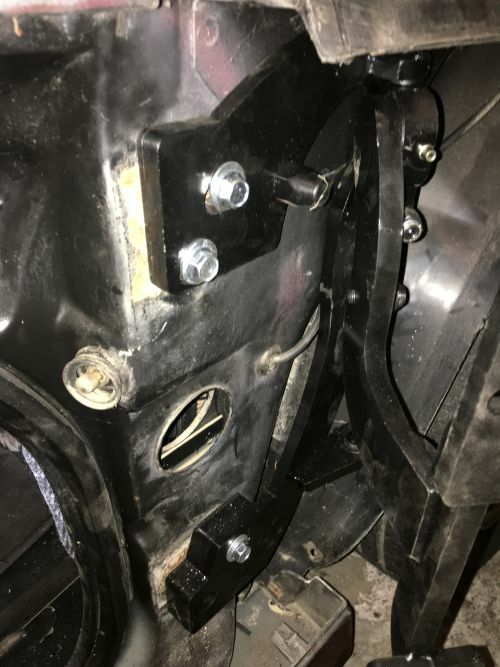 It appears that they added the thick steel block on the bottom mounting point to correct the offset that the hinges need. 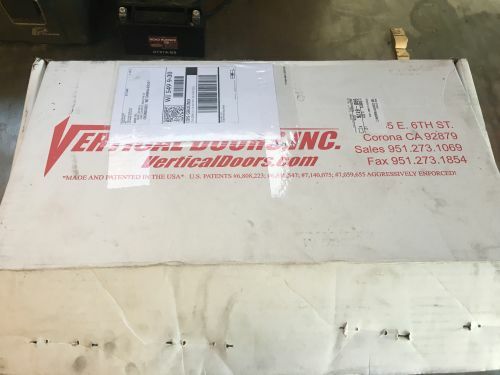 Just for the hell of it for the next guy, is there a part number on that box that you can post? I had a kit awhile back and I needed to get beefier struts- the original ones failed. It's very nice to know that a bolt-on kit is available on the market. It's not cheap, but it looks very solid and well made and should last the life of the car. Can you show pictures of any modifications you had to make? To the body, frame or to the actual unit? Originally posted by ltlgt88: Can you show pictures of any modifications you had to make? To the body, frame or to the actual unit? No, mods to the frame or the unit are needed. 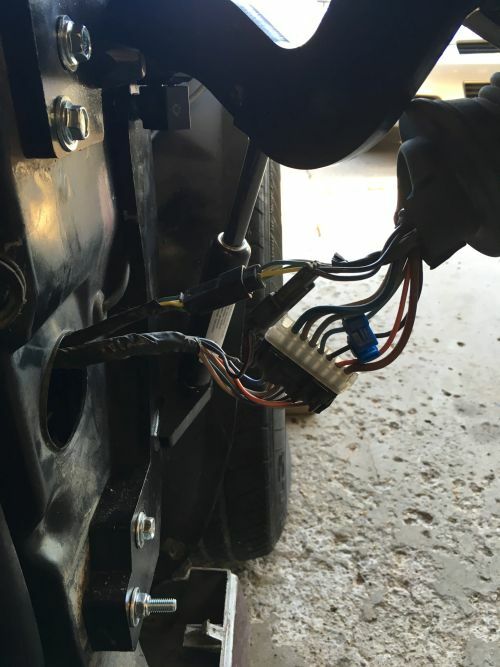 The wiring to the door would normally need to be extended and the inside edges of the front fenders need a notch cut to allow room for hinge arm to swing(this is not noticable from the outside). jscott1 , No not the cheapest, but they do fit properly and are made well, I just took a quick look at their web site, found they do offer coupons, currently 10%off, 100$ off aint bad. So how much was the kit? Sounds too good to be true, but several eBay sellers offer this kit, advertised as VDI brand, for $795 or best offer. I'm verrrrrry tempted, now... Everything seems to match. The "part number", boxes pictured are clearly labeled as VDI, etc. 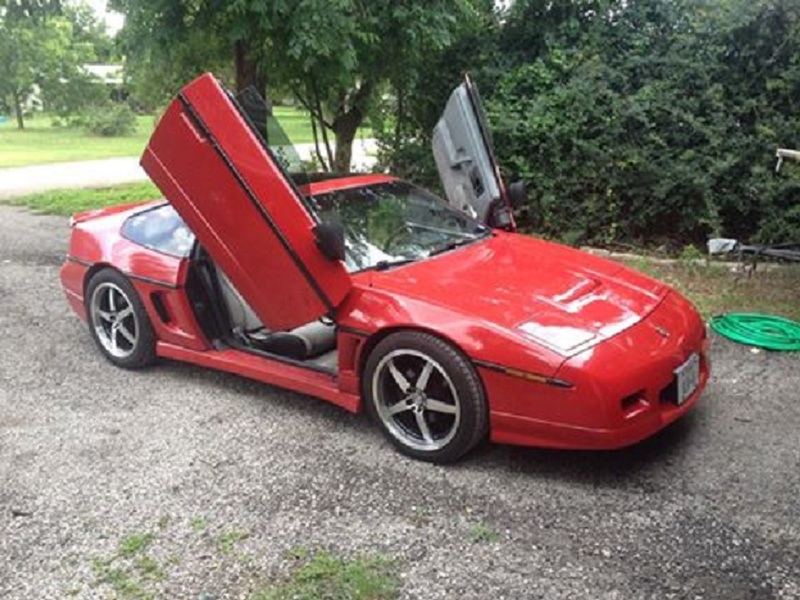 I don't know the full back story, but not too long ago it was not possible to buy the bolt-on kit for the Fiero, so there was a group buy or two and people were able to get some that were custom modified to fit the Fiero. I'm just guessing, but it appears that enough people bought them for the Fiero that VDI added the Fiero pattern to their inventory. Being able to buy a bolt-on kit for $800 or so is a significant savings to the custom kits that some of us bought back in the day. I'm gonna admit... this is the kit off ebay. But it has the VD name all over it... 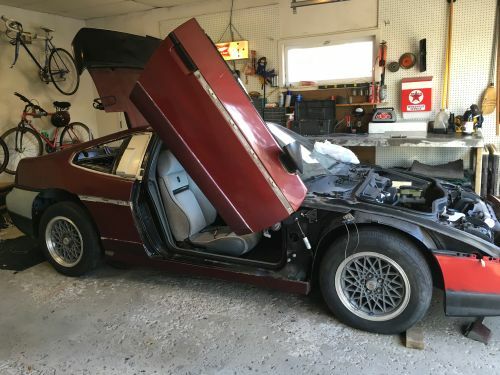 The seller was Vertical Doors Inc. Not sure why it's cheaper on eBay? But this kit is definitely the real deal. Lifetime warranty! I sure am considering these. Hmm. Thanks for the heads up!! I did want to ask, though. 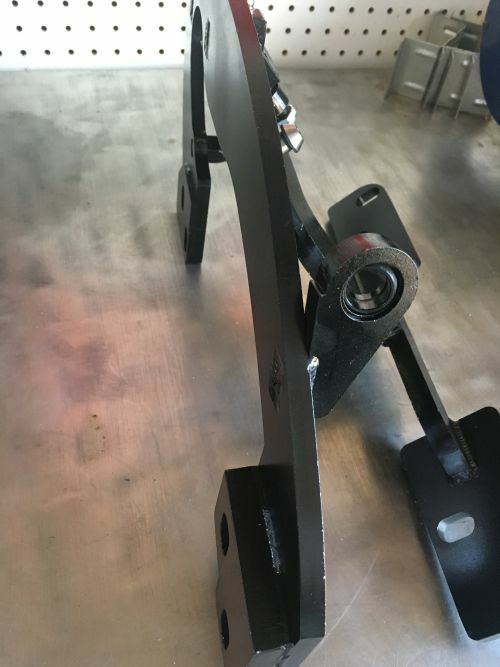 Is it required to remove the front fender to install this kit, or did you just happen to have yours off anyway? Secondly, what kind of effort is there to raise the door from inside of the car? You posted about someone holding the door to bolt the hinges on. In their video they leave the door closed, remove the front fender and bolt the hinges on with the door in place. That is a different car that is in the video but doesn`t the same work for the Fiero? I installed mine with the door closed. I did remove the outer door skin for easier access to the mount bolts and the fenders will need to be off to install. The fender needs to come off because the half moon shape of the hinge sits behind it. 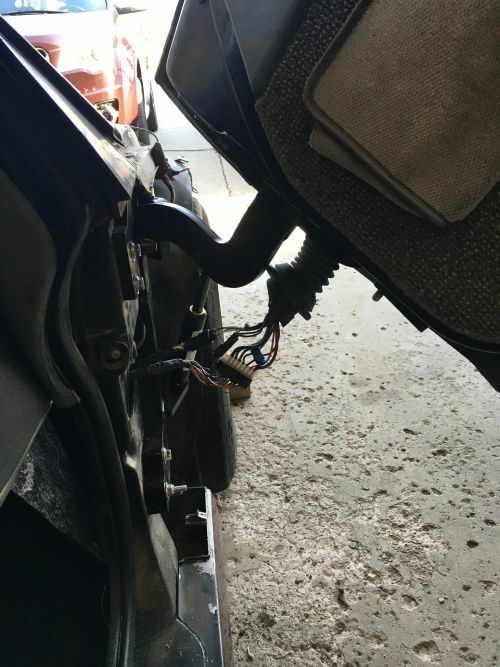 Also trimming of the fender is required so you might as well remove the fenders. the front bumper is way out of alignment as well as the hood so I had everything apart at once. I heard about wedging the door and installing the hinges with the door in place. I might try that for the driver side. It seems smarter. I had to align this side from scratch... not fun. I found this video, I made a while back, just after I put the VDI hinges on the car. just a quick demo of the operation. So I'm guessing that this is a limiter setscrew where you can tweak how far the door opens outward? In other words, you can adjust the door to just barely open in the normal position to where you have to squeeze out of the car but the doors will be more vertical when raised? If you unscrew the adjuster, the doors will open almost as wide as stock but will be leaning outwards once in the vertical position? I wanted to do something like this so that I could get in and out easier between cars and clear curbs. But I’m worried about it not being stable enough. I saw a few videos on YouTube showing some vertical doors wobbling excessively and the body panels wouldn’t line up correctly. They were explaining that the door skin isn’t strong enough. They also showed the hinges had bent a little. I don’t want something that I need to be super delicate with. Did any of you have these same problems? Yes, the set screw does set the outward swing. Unscrewing the screw to much would allow the door to wobble around when raised. 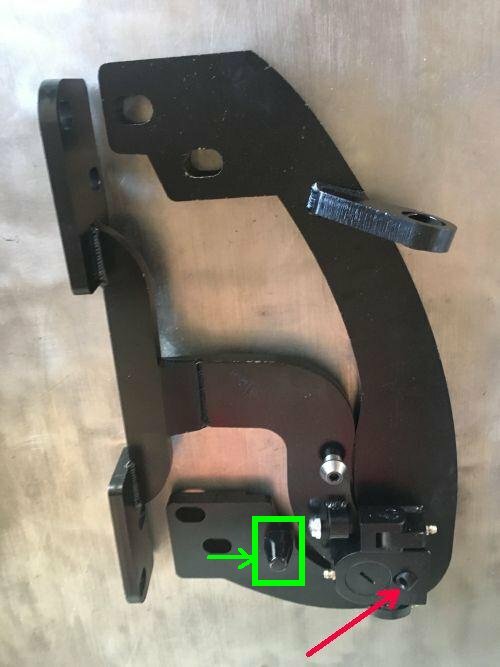 You should adjust this to just allow the hinge arm to clear the Stud(Green Block) when rising. The stud keeps the door from lifting before it is swung outward. As far as curbs, you'll still have to watch for them.... the doors do have to swing outward a foot or so before they will go up. If you don't mind me asking, which seller did you choose, and how fast did they deliver? I'm seeing an estimated 4 weeks for delivery. The delivery time is increased because the order needs to be sent to the company to me made in USA, then shipping. Mine showed up in 2.5 weeks. Thanks for your help! 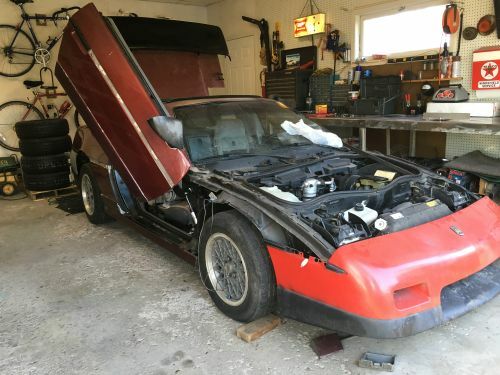 I've submitted an eBay offer, let's hope I can see new hinges on my '86 GT soon! Just an update for those of you wishing you had lambo style doors. The EBay sellers of this brand of hinges all accept "best offers" and the lowest current kit is offered at $795. 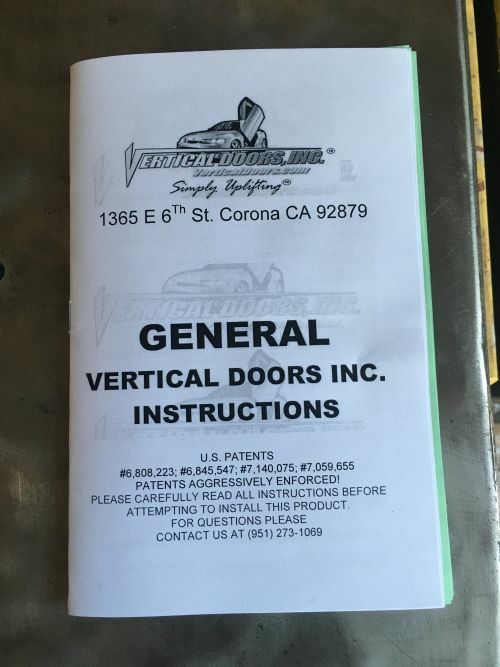 Full retail from vertical doors Inc. is around $1,100 or $1,200. I was able to buy this kit via offer for less than $795, definitely worth making an offer if you've considered installing these! 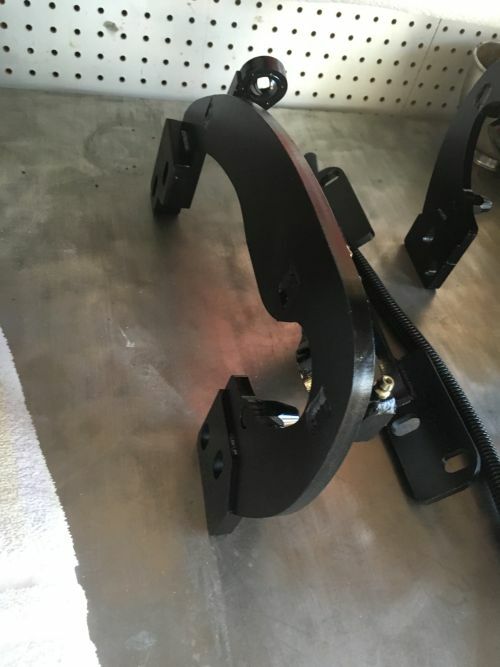 Plus, VDI builds these hinges to order, it doesn't appear that there is any "back stock" in case you fear buying an older set that isn't so easy to install! Wish I knew that a month ago... but thanks for the update! 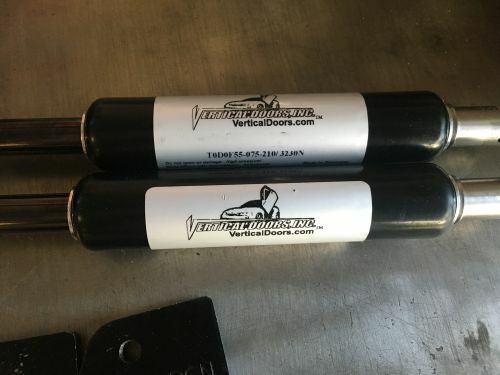 You probably most definately want to pull both outer and inner door skins off to install these hinges. 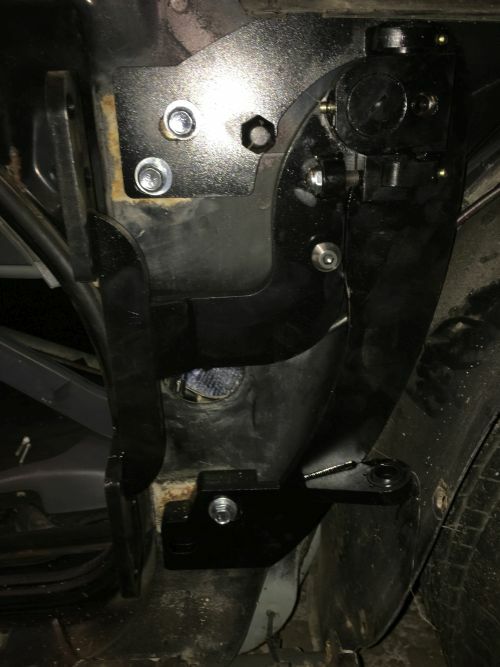 to install the plates and bolts. Plus, up top you would have to contend with the pod where the ac vent sticks out on the dash next to the door. With outer skins off it should be fairly easy to gain access to the front part of the door. http://youtu.be/5sCNO7IpZLg Archie did mine,..good kit. Talk about easy to install. I did find out messing around with the fender today that I will have to cut the end of the belt moulding off because it hits. It`s mainly because there is more of an outer travel with these hinges compared to the stock ones which just pivot right at the pin. Fortunately, the gas strut just misses my fender vents because I was worried about those getting in the way.